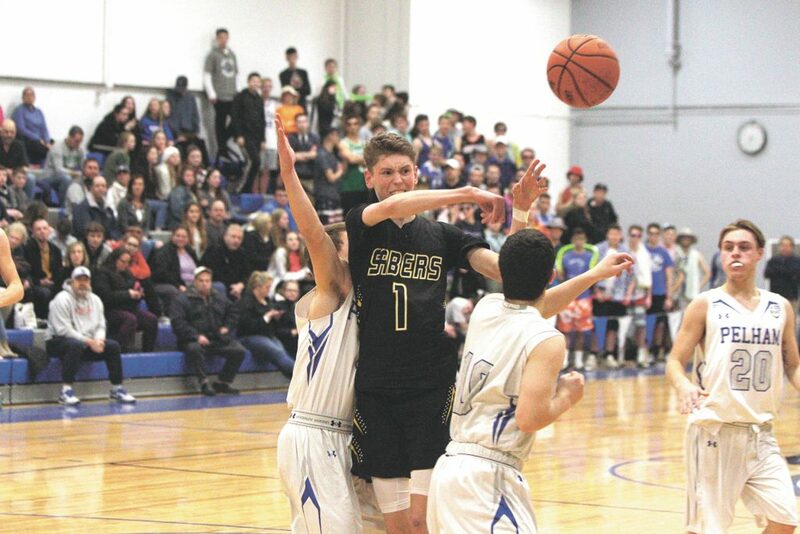 PELHAM – A matchup with 7-2 Souhegan traveling to 9-2 Pelham, at least on paper, certainly could have or should have made for one of those special late January nights. “That’s absolutely fair to say,” said Sabers coach Peter Pierce when presented with the notion that his team did not match Pelham’s intensity. Pierce’s crew kind of crept through a 29-19 first half but at least hung around. A drought of nearly 4:25 to open the third quarter smothered any notion of a comeback, though. 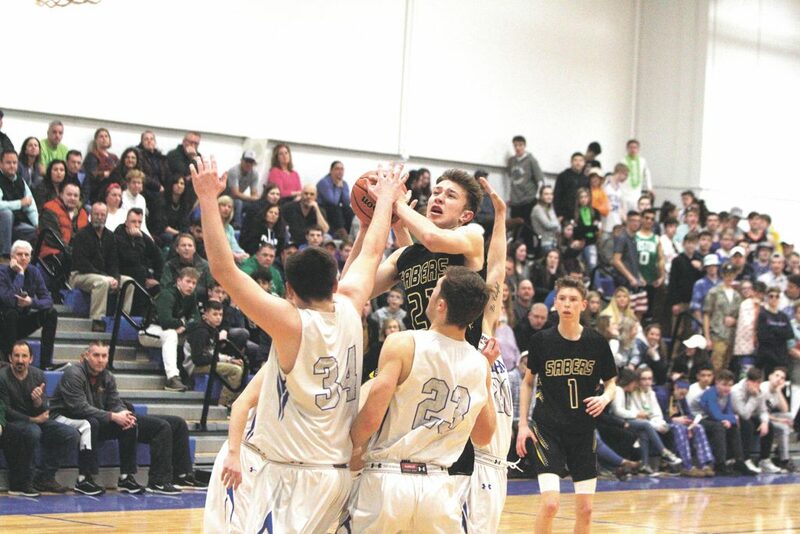 By the time Jeff Kiesewetter finally broke the ice with a 3-pointer at the 3:35 mark, the carnage had been inflicted with Pelham owning a 41-22 lead. Now 7-3, Souhegan tumbles precariously into a tie for sixth in the Division II standings with more than a handful of four-loss teams clumped around the Sabers looking to carve their way into the top half of the playoff draw, which carries a home postseason game along with it. One of those teams, 5-4 Kearsarge, will host the Sabers in a key tussle on Thursday night. “We just have to be better everywhere,” said Pierce. Derek Crowley paced Pelham, which has now ripped off eight straight wins, with 20 points. Sophomore Jake Dumont tossed in a dozen. 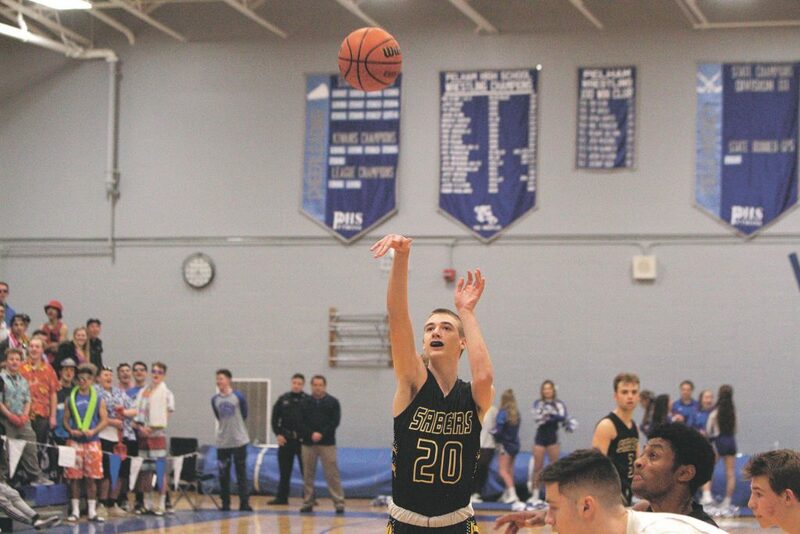 Jeff Boehm led Souhegan with a dozen points, and Trey Johnson had nine. The big sophomore, Matt McCool, was held to eight. For Pierce, it’s a matter of turning the page. Souhegan has beaten good teams along the way to this solid start. The Sabers belong in the Division II discussion, at least they should, when tourney time approaches next month. “That locker room is pretty down right now,” said Pierce.